Partial Hospitalization (Day) Programs are suited for individuals who are experiencing behavioral health symptoms which cannot be adequately treated in a traditional outpatient setting, but are not severe enough to require 24/7 monitoring for safety. Our programs offer short-term treatment tailored to the specific needs of patients of all ages, and provide an opportunity for more intensive treatment while allowing patients to return home in the evening. The group-based programs focus on development of positive coping skills to manage an acute crisis. Average length of treatment is four to five days. Lunch is available. During a patient’s treatment program, they will be evaluated and treated by a collaborative multidisciplinary team that includes a psychiatrist, master’s-level case manager, nurse, activity therapist, chaplain and patient care providers. Treatment focuses on a variety of psychosocial concerns, communication and relationship skills, and basic stress management. 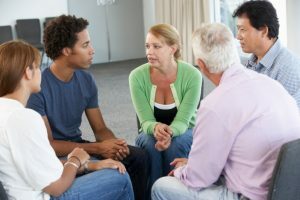 In addition to a variety of group therapies, each patient meets individually with his/her psychiatrist, nurse practitioner, physician assistant and case manager to set treatment goals, manage medication, and develop an after-care plan. Wondering if a partial hospitalization program is the appropriate level of care? Give us a call! Our Contact Center is staffed 24/7 with licensed clinicians trained to discuss each individual’s unique situation and determine the level of treatment best suited to meet the person’s needs. Child and Adolescent Partial Hospitalization Programs are short-term, intensive treatment programs offered to children and teenagers experiencing significant mental and/or emotional problems. Our goal is to assist individuals and their families in managing these problems. 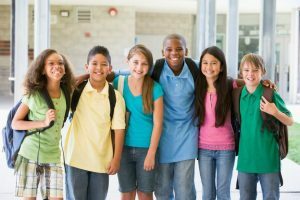 These day treatment programs are specifically designed for children (ages 5 to 11) and adolescents (ages 12 to 17) who meet the criteria for admission and cannot be adequately treated through traditional outpatient services. The programs meet Monday – Friday, 8 a.m. – 4 p.m. The Pine Rest Mother and Baby Program provides a unique opportunity for women with perinatal mood and anxiety disorders (PMAD) such as postpartum depression to receive treatment in an environment which enhances mother/baby bonding. Our program includes a nursery, allowing mothers to bring their babies with them on a daily basis. This feature eliminates many barriers to women seeking treatment such as separation from the baby, as well as child care and feeding issues. The program operates Monday – Friday, 8:30 a.m. – 4 p.m. This short-term, intensive treatment program is for adults age 18 and over who meet the criteria for admission and cannot be adequately treated through traditional outpatient services. The program meets Monday – Friday, 8:30 a.m. – 4:15 p.m. Therapeutic group sessions are 90 minutes in length and led by a variety of mental health professionals.